Canyon trail network at the summit of Kelly Mountain. Ride safe! A: Parking is located at Camelsback park or Military Reserve. Its a bit of a climb and traverse either way to get to Sidewinder, although one climb is much steeper and shorter than the other. Review: Fun foothills trail, flowy downhill but often too busy to really let'er rip. Review: Can be done as a shuttle ride. Start at Y Junction, go up a 4x4 trail for about 1 Mike to the summit of Kelly Mountain then down a decent 2 mile stretch of 4x4/dirt bike trail that connects with the top of Sidewinder. 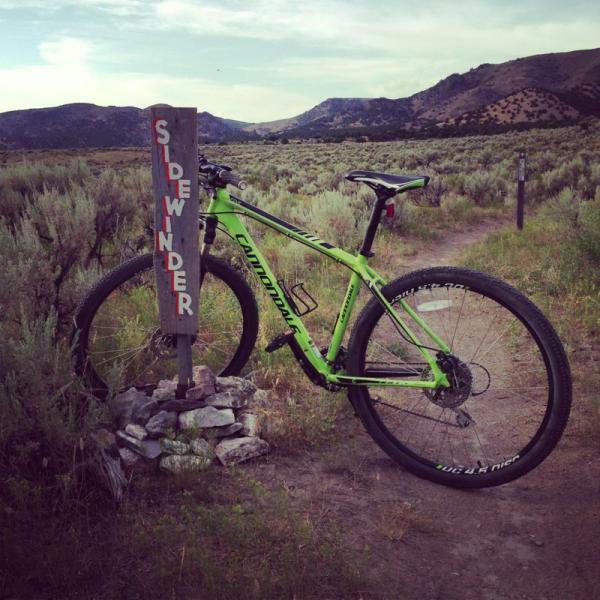 Sidewinder itself was a great 3 mile section of singletrack! I'Lloyd be back for sure! 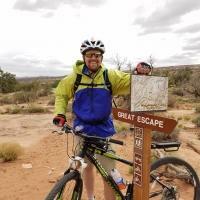 Review: This is an awesome trail! The name makes sense after riding it! Lots of tight corners on banked single track. I did it as a shuttle so I started at Y Junction just above Kelly Canyon Ski area then finished at Stinking Springs. I'll be back for sure! Review: This is the first single track I've done and I stayed in 1, 2, and 3rd gear most of the way to the top so it's a workout but going back is all downhill so its worth the climb. There are two bench stops towards the end that are good places to stop. 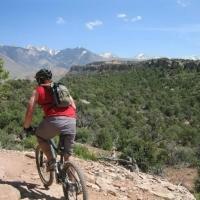 Sidewinder MTB Trail 4.67 out of 5 based on 6 ratings. 6 user reviews.